Among the anti-resolution crowd, the trend for the New Year is to choose one word that will serve as your guide in 2018. If you select carefully, your word can define, focus, and motivate your work. It can keep you honest. For major gifts fundraisers, there are a lot of words to choose from; words that reflect our work when we are doing it best. As I think through them all, however, one word stands out to me. If you agree with MarketSmart’s Greg Warner that, “People don’t give when they finally understand your organization’s needs. They give when your organization finally understands their needs,” (and I do), then the most important job major gifts fundraisers have is to understand their donors. To accomplish this, you must get to know them, their priorities, what they care about, what they want to change. What does this look like? How are fundraisers spending their days if they are working to understand their donors in this way? What one word defines this type of work? 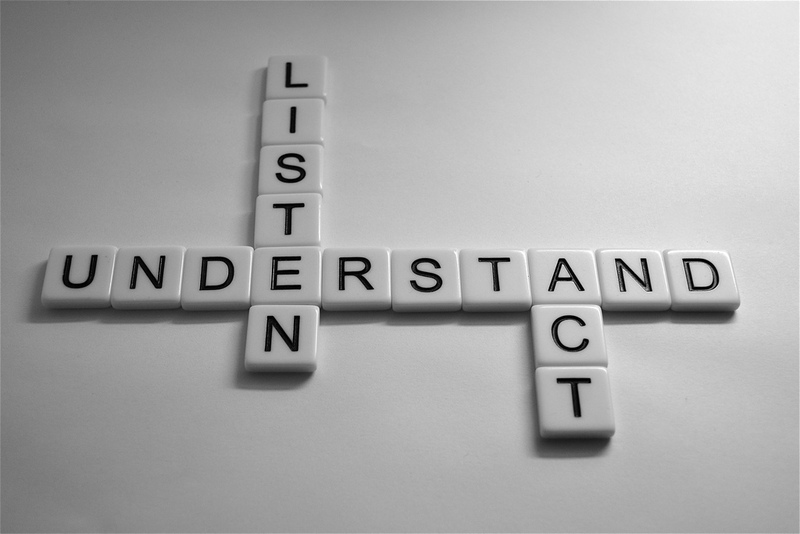 If you want to truly understand your donors, and how you can invite them to give through your organization to create the change they seek, you have to start by listening. You have to listen to what they are saying. You have to listen to what they are not saying. You have to listen with the intent of hearing and not the intent of replying (and certainly not replying with information about what your organization needs). You have to recognize that you don’t know what is going to inspire a donor to give and then listen until you learn what that is. It may take a while, but I guarantee if you truly listen, you will not only come to understand your donors’ needs, but also have the opportunity to share how your organization can help them address those needs. This is great Brigitte. Thanks so much for mentioning me.